When Sathya Sai Baba appears in a dream, it is no longer a dream. It is the way He awakes us to the Atman. It was on one such occasion that He appeared and told me: “you know the story how one gopika crossed the turbulent river Yamuna with namasmarana alone to serve as her guru. Do you want to know the condition of her mind then?” Abruptly the scene changed. There was a splendid golden yellow light, no form (not even Baba). Time has no relevance in such a state. It was blissful and all pervading. At one stage even these feelings were not known. After sometime I was aware that I was part of that light and so was Swami. Suddenly there was a rapport between us. “You know now this state is really indescribable. Even the nearest descriptions like ‘Tatwamasi, Aham Brahmasmi …… ‘ when once put into words are far away from the Truth.” This blissful state continued for some more time. Swami told me two more words which I could not recollect later inspite of my best efforts, partly because I have no knowledge of Sanskrit and mainly because of my ignorance of the Upanishads. The reader can well imagine the depth of my ignorance if I say it took me nearly a year to recall the missing words which were communicated to me by Baba. They are “Pragnanam Brahma and Ayamaatma Brahma”. I also came to know that these four constitute the “Maha Vakyas” (great pronouncements) taken one from each Veda—‘Pragnanam Brahma’ from the Rigveda, ‘Aham Brahmasmi’ from Yajurveda, ‘Tatwamasi’ from Sama-veda and ‘Ayamaatma Brahma’ from Adharvanaveda. Still more recently I was amazed to see these were the Maha Vakyas with which Sri Adi Sankara was initiated by his guru, Sri Govindapada. Acquisition of this book knowledge itself makes an interesting story. In 1972 my mother-in-law became sick and both her lungs showed extensive lesions. Experts varied in their opinion—lung cancer or massive tuberculosis. In either case, the count down had begun in her life. I thought that if it was cancer then there was nothing that could be done at that late stage. If it was advanced tuberculosis, I thought that injection of streptomycin and other drugs could be tried, hoping against hope. This was explained to the old lady. She wanted to have the darshan of the Lord before her last breath. Immediately my wife, Dr. Sanyasamma, and her mother took the next available train. This they did simply because we had heard that Swami wanted to start some Summer Course (the first Summer Course) and that He would be at Whitefield. On April 30, 1972 both the ladies were seated in the Bhajan mandap. 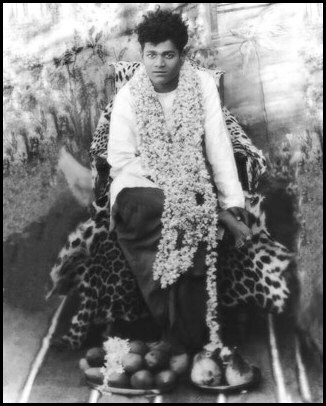 Swami asked Dr. Sanyasamma abruptly, “why are you still sitting here? What has happened to that Kasturi?” Later, Sri Kasturi explained that Swami had instructed him the day before to hand over a badge and ask her to stay for the whole summer course. This clearly showed that Baba’s will and will alone put the two ladies in the train and drew them to His feet. Later her mother had a reeling sensation—a reaction to the streptomycin injections she was receiving. 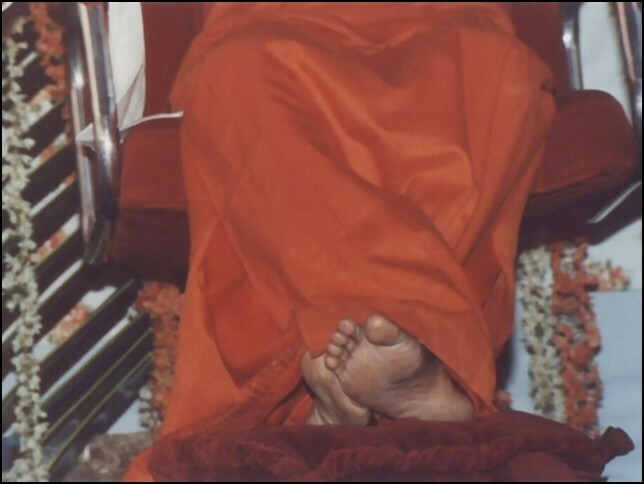 She thought it could be remedied only by placing her head on Swami’s Feet or if Swami placed His hand on her head. The very next day Swami, while talking to the lady doctor about the symptoms of her mother, created vibhuti and was about to hand it over to her. He then said: “if I give it personally, the patient would be more happy.” He went among the crowd of devotees and stood before her. She made use of this opportunity and immediately bowed down at His feet. While getting up Swami placed His hand over her head and blessed her, thus fulfilling both her wishes. Immediately all treatment was discontinued. When she returned after three weeks to Vishakhapatnam, her X-ray picture revealed that both lungs were absolutely normal. Dr. Sanyasamma brought all the notes of the summer course in long hand and both of us studied the originals one by one and came across the ‘Maha Vakyas’. Then it became apparent that whatever Sathya Sai Baba says either from the stage or in a side talk or even as an apparent joke is pregnant with meaning, always paving the way to the final goal of knowing our own self.